At www.kingdomofheavenmovie.com! Now that I've shared the fantastic news, I have to excuse myself and check out all of the little nooks and crannies on the website! EDITED by the PEFIC for capitalization. Thanks for the link! What a joyous suprise to see Orlando pop up there! Look even they have him with the sword in his left hand! It's just getting started, so I'm sure there's much more to come. I did grab the 'important' parts of the flash presentation. And click on these for the larger version. Well, it's a little bit better than the Teaser Poster...but it's still not my favorite shot. I think they really rushed the web site. They've got Brendan Gleeson's name spelled "Leeson"! Definitely not my favorite shot, either. It looks too much like Brad's Achilles in Troy. Hopefully, they will choose a better picture for the final version. Thanks for the caps Jan, once again you rock. They definitely want to put male butts in the seats. They must figure we'll come anyway. PS: Does the director of Gladiator have a name? Obviously not important enough to mention! Thanks for those caps Jan! Hopefully they will change that photo. They could've done a better job with the site. 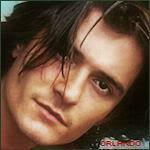 Well at least on there aren't banner's behind Orlando's head blowing the wrong way from his hair like in the poster. Hopefully they haven't put the site in the hands of a flunky over at Fox and they get their act together to fix the spelling etc. Thanks for the links and the yummy pictures Jan. I agree it seems a bit rushed.but I think they are trying to gear things up a bit. Anyway, here's to some upcoming *sqee* moments! I LIKE the website. Maybe it's not perfect (yet) - but at least it's THERE! And I agree with those who implied this run-up is being targeted mainly at a male audience, primarily YOUNG ADULT MALES. You know - the whole "great film = hard-core action/exciting battle sequences" segment as opposed to "romance and subtle heroism." I have to admit it's nice to see Orlando's character portrayed as "fiercely heroic" once more, particularly after the beating he took (both literally and figuratively) with "Troy." These are only the initial stages. Hopefully we'll see a more polished and refined poster image appear as the date of release draws closer. I'm sure it will get better. At least it's up! I don't mind the photo.but I didn't notice the hair vs. banners.that's too funny! Someone missed that in editing. Wow. I was so excited to see pictures of the poster, to find out that the website is up, even though it's obvious it's still under construction. I just knew us ka-Bloomies were going to be grinning widely with excitement and joy and anticipation. I couldn't wait to join in the celebration of another milestone reached in the journey to May 2005. I don't understand all the criticism I have found instead. Banners floating the wrong way? Misspelled names? The wrong font? Sword in the wrong hand? Flipped picture? Fuzzy poster? Poor art work? Light emanating from armpits? Too gladiator-ish? Too Troy-ish? Website too premature? This smells like lilacs in the springtime, that's wrong, this was poorly done, that detail was overlooked, etc, etc, etc. I guess I don't understand it all because I'm not a professional in the movie industry. I don't work in the arts department or any other department at Fox studios (or any other movie studio, for that matter), I'm not a director, I'm not a producer, or a photographer. Probably because I'm not talented in those areas. I guess if I was an expert in one of those areas, I'd be working in hollywood today. Alas, I'm just a fan who gushes over Orlando and is really really excited about seeing him in the lead role of an epic movie. Awww, thanks, Jan. It's nice to know that Sid is "important". And now I'm nicking these and posting them at Sid City, with credit, of course. Thank you, HeySailor and Jan for the links. God.I'm so proud of him . 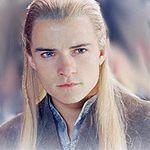 Orlando is perfect as the noble, honourable, sad and passionate Balian . Anyone, please tell me ,how do not fall in love with Balian? Well, I have to say I'm impressed! I know that some of you differ in that opinion but, I like it. It took an ages for it to load in after pressing the 'ENTER' button and when I was presented with the music and lovely blue toned scrolling pictures, my first reaction was 'WOW!. I love the way those pictures at the bottom jump up at you when you place your mouse over them. I should imagine that at a later date there will be more information added to those. If there's any there now, I can't access it. I'm looking forward to seeing more there. I'm going to need to pack a defibrillator for the trip to Chicago, I know this for a fact. I just knew us ka-Bloomies were going to be grinning widely with excitement and joy and anticipation. I couldn't wait to join in the celebration of another milestone reached in the journey to May 2005. I don't understand all the criticism I have found instead. Jane, I understand where you are coming from. I know I said I didn't think much of the poster, and I still don't. I've been around fan boards long enough to have seen blanket approvals of everything about the object d'gush, including poor performances and lousy interviews. Fortunately, we don't see that here. People have differing opinions, and I often don't agree with what the posters have said. But that's what makes for an interesting discussion. I'm not disappointed in the website; considering we're 5 months out, it is as 'comprehensive' as it should be. But considering how interesting and well-done the trailer is, the poster left me wanting. Eeek! That was only a joke. My parents are often telling me to stop being facetious, so maybe I should. I didn't mean to offend . To be honest, yes, I thought the poster was less than great. But then I'm one of those irritating people who correct the punctuation on their lecturers' handouts with white-out :paperbag: . However, it doesn't make me any less elated for Orlando, or any less excited about this wonderful movie. And as for the site, I haven't actually visited it yet, so I'd better get on and do that! Certainly everyone is entitled to their opinions, and the diversity of opinion is one of the many things I like about ka-Bloom. And please don't misunderstand, it wasn't your mentioning you didn't like the poster or someone else saying they didn't like the website that got to me. It was no one's individual statements at all. It just started to FEEL, as I read post after post after post in this thread, and the KOH poster thread, like people were nitpicking everything to freaking death. I wouldn't call it jacking, sweetie. We're basically an impatient lot when it comes to Orlando - we want it all NOW! I don't think anybody here has criticized Orlando in connection with the poster and web site (not that we wouldn't, if a good reason came up). It's more that many of us are a bit hypersensitive about wanting Orlando's movie to receive the high-quality publicity that we think it deserves. I totally agree, Lianna. It's first movie in which Orlando has the leading role, and we just want him to get the best of publicity and recognition. I certainly do! I think that's why I am not too fond of the poster picture. It isn't the best of pictures, but I guess that's what FOX is going after? Not marketing Orlando as this Pretty Boy, but as a man full grown and a leading man, fierce and determined in his role. If then, I am all for it. No matter what, I can't wait for the movie and the brilliant performance Orlando will dazzle us with. This one will make him respected, and E-Town seal the deal. At least, I hope so. Orlando deserves it, and contrary to what his naysayers say, has paid his dues. Come, May. I'm not in the movie business, but what I think has happened with the website is this. These poor people at 20th Century FOX were thinking, "Hey, we have till March/April to get ready for the big media push, but since we've got the trailer hitting ET, let's just throw something up to see if we get any hits". And now they're going "They've been WAITING for it?? It's only DECEMBER! They've found the TYPOS?? BUT IT'S CHRISTMAS WEEK, for God's sake! Don't these people have LIVES?!?!??" They have NO IDEA who they're dealing with.